Nebraska is back at home for week three after a tough loss in Oregon. Typically, there would not be this much going on for an 11 a.m. kickoff against Northern Illinois but this isn’t a typical week. Before we get to the game, there is plenty of recruiting news and buzz to discuss. As always, I’ll take you through what I know, who is visiting and where Nebraska stands with the next crop of Huskers. >>I evaluated a few walk-on candidates for Nebraska this past week. >>Nebraska looked to SEC country for some speed at linebacker in 2019. >>I gave an evaluation and made a prediction on a visitor this weekend. 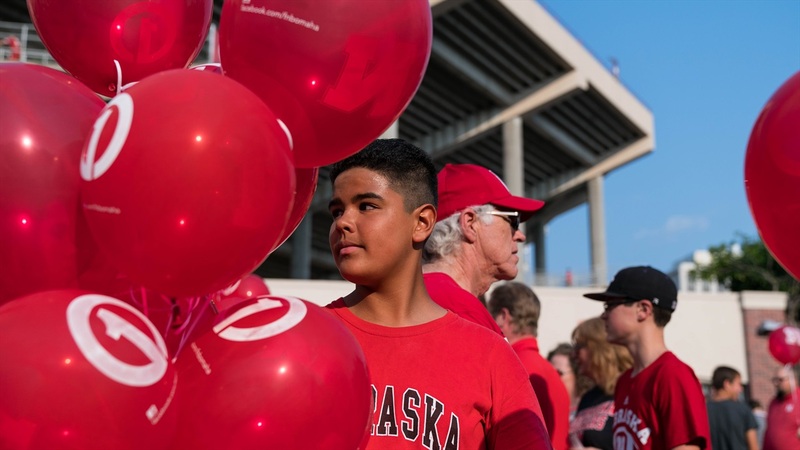 Despite an 11 a.m. kickoff against Northern Illinois, Nebraska has an impressive visitor list. First, I’ll start with running back and LSU commit Chris Curry‍. I’ve not been able to reach the 3-star back from Lehigh Senior High School this week. His town was hit hard by Hurricane Irma and I would assume it will be difficult for him to make the trip. I have confirmed three official visitors for the game and they are all intriguing prospects. A pair of 4-star teammates, Kobe Smith‍ and Bryan Addison‍ from Junipero Serra High School in California will be making the trip. Plus the top-ranked player in Minnesota, David Alston‍. Smith is a bigger bodied wide receiver (6-2, 175) that the Huskers could use. When watching him on film, it really stands out that he is using technique and route running to get himself open. He also catches the ball consistently with his hands, which is something Keith Williams values highly in his targets. Smith tried to make it out for Nebraska’s spring game and Friday Night Lights camp but couldn’t make either work. He’s very excited about the trip to Nebraska and I believe the Huskers are in the lead for him currently. If things go well this weekend I would not be surprised to see him join the class. Addison, is one of the top athletes in the country, and could truly play either side of the ball and be successful in college. His size (6-5, 185) make him a very good candidate to play wide receiver in college but the thought is that he wants to play defense. Nebraska is recruiting him as a safety but I can’t help but also wonder if he could turn into an excellent DOG linebacker with some added bulk. Donte Williams has been on Addison for a long time but Nebraska is chasing UCLA, USC and perhaps Oregon at this point. Alston, is the most likely player to commit this weekend to Nebraska. I gave an evaluation here and I believe Nebraska would do well to get him in the class. I don’t see him as a “back-up” plan to Micah Parsons or Bo Calvert, but as another player that clearly fits what Bob Diaco is looking for in his defense. I have it on good authority that he’s been narrowing down his list of schools since May and that he’s eliminated schools from the jump that didn’t fit him athletically and academically which is why his offer list isn’t as big as you’d think. I’ve also been told that Stanford coaches have told him he’s “close to an offer” but it hasn’t come and Alston is not going to wait around on them. Nebraska, Wisconsin and Stanford (no offer) are his top three. >>I wrote yesterday that 2019 4-star offensive lineman Will Putnam is making a return trip to Lincoln, this time with his dad. Putnam is one of Nebraska’s top offensive line targets in 2019 and marks the second home game in a row they’ve hosted a big-time 2019 visitor. >>I spoke with Cameron Pieper‍’s dad and they will be back on the sidelines for the Nebraska game this week. Pieper, from Lincoln Southwest, is being looked at by Nebraska as a long snapper. They had originally planned on visiting Iowa until Nebraska invited them back to Memorial Stadium. >>I’m being told that Nebraska is pushing hard for a wide receiver that I’ve interviewed multiple times. Four-star wide receiver Tommy Bush‍ is a high-priority target for Nebraska. If you are looking for size (6-5, 187) then you have it here along with blazing speed. Not only is the staff locked in on him but so is Husker commit Joshua Moore‍.